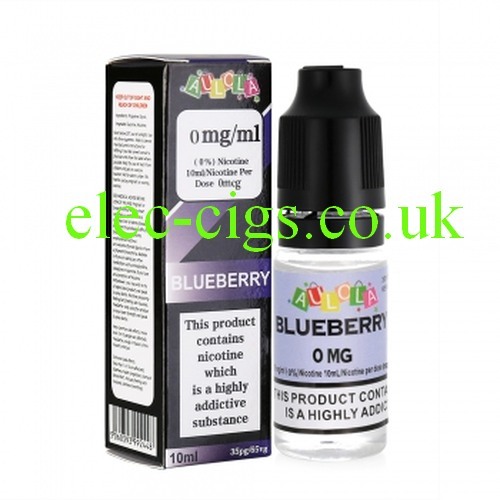 Blueberry 10 ML E-Liquid from Aulola is exactly what it says it is; an exceptionally great value Blueberry flavour e-liquid which compares favourably with any: if you want a good vape at a fantastic price here it is. Blueberry 10 ML E-Liquid from Aulola is nominally a 65-35 (VG/PG) mix but this can vary by up to 5%. The available strenghts are Zero mg nicotine, 6 mg nicotine, 11 mg nicotine and 18 mg nicotine.